Veteran researcher with the Striding Edge television production company researching geographical, historical, industrial and human-interest stories and content for a range of television and radio programmes set throughout the North of England and the Scottish Borders. 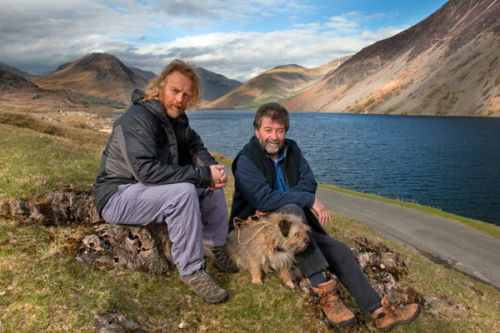 I have provided research and mountain guide support, both off and on camera, for widely-known programmes such as the regional “Out of Town“ series, the BBC series “Wainwright Walks“, and most recently for the films “A Year in the Life of a Mountain – Scafell Pike“ and “A Year in the Life of a Mountain – Blencathra”. Kentmere with Froswick, Ill Bell and Yoke. A good day to do the round if a little windy. Megs Gill in full flow on the way to Silver Howe. The route from Tarn Crag to Calf Crag around the head of Far Easedale was far from easy. The view from Castle Crag and Grange Fell. Bowscale Tarn home of 2 Immortal Fish. The Scafell Range from Grey Friar. Perfect weather for the walk that included Great Carrs, Swirl How and Wetherlam.